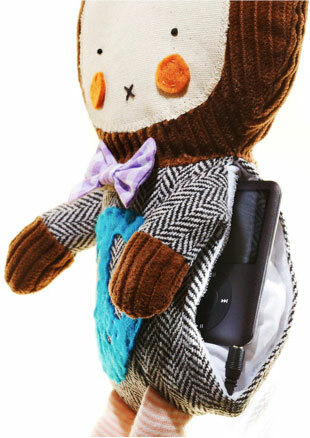 All the way from Canada to Australia come the ever cute and groovy looking Woon iDolls for music on the go. 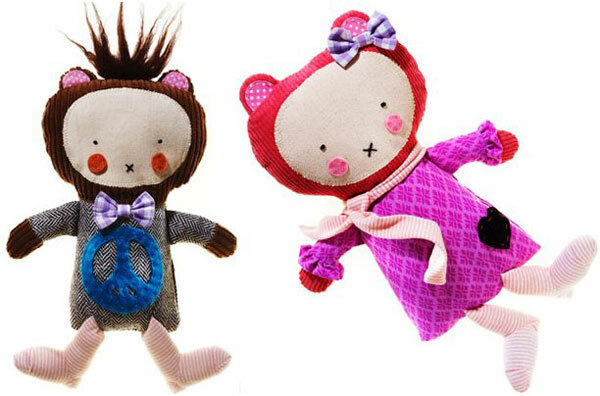 Woon has created two gorgeous Woon iDoll characters – a quirky girl named Lulu and her friend Pax who looks like one hip little boy with his flash bow tie. Far from being just a funky looking doll, the iDoll has inbuilt speakers and a concealed inner pocket with a MP3 port safely tucked inside, so music can be enjoyed wherever you go! The Woon iDoll is an awesome way of introducing music to your little one without the worry of them manhandling your MP3 player. Both Lulu and Pax easily attach to any stroller, cot, car seat and nappy bag so they can’t get tossed out when you’re not looking. And here’s a tip – load up your player or even your iPhone with lullabies and you’ll be able to soothe frazzled and tired babies, wherever you happen to be. All you have to do is download your child’s favourite songs onto your MP3 player, tuck the MP3 player into the iDoll inner pocket, seal the Velcro strip and presto – you have music! Pick up your own Woon iDoll for $69.95 at Rose and Lily. Delivery is available all over Australia so go get that playlist organised!